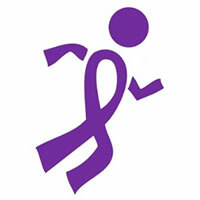 Join in the 2019 Race For Recovery – a 5K run/walk event to support the Vanderburgh County Substance Abuse Council. Saturday, August 10th at Garvin Park! Packet pickup and late registration begins at 7am. Race starts at 8am. Through this event, the Vanderburgh County Substance Abuse Council hopes to raise awareness in our community of addictions treatment by celebrating those who are in recovery, their family and friends, and treatment professionals while raising funds to help reduce barriers for individuals accessing treatment and preventing substance abuse in our community. Proceeds from this event go to support substance abuse treatment and prevention efforts in Vanderburgh County. T-shirt for all participants Small – 3X-Large. Medals for the top finishers in each age category.